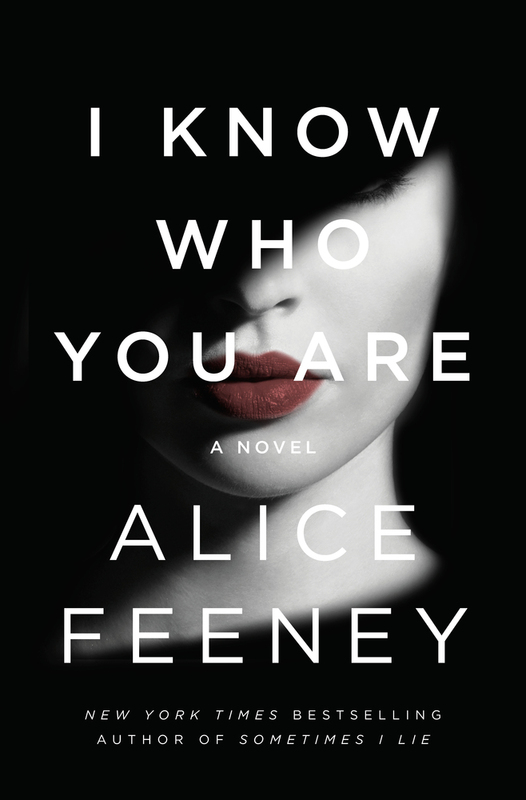 Alice Feeney—author SOMETIMES I LIE—is back with another clever, compulsive psychological thriller with I KNOW WHO YOU ARE. The story begins when London actress Aimee Sinclair discovers her husband is missing. His phone, his wallet, his keys and coat are all at home, but he’s nowhere to be found. Police know she’s hiding something, but Aimee is determined to protect the secrets from her past. Secrets she can never tell. She fears her stalker may be to blame—a woman resembles her, and claims to know who she is and what she did. “What have we done? What did I do? Why did he make me? As Aimee’s life begins to spiral, she’s not sure how to feel, how to act, what to do. But things keep getting worse and the lies keep multiplying. Through chapters in both present and past, we learn the secrets Aimee hides, and why she feels they must never come to light. Trouble is, someone is after her and they won’t rest until she’s behind bars. SOMETIMES I LIE was one of my favorite psychological thrillers of 2019, and so I had huge expectations from this book—Feeney’s sophomore effort. It was as intricately plotted and twisty as her debut, and I couldn’t stop reading until I uncovered what was really happening. I got pretty close to figuring out the twist, but in the end, it was still a surprise. Aimee’s past was especially riveting in a disturbing kind of way. It made me unsettled, a feeling that carried through until the end. But what I loved best is how Feeney made me question everyone, everything. There was this sense that the story could go anywhere… that there was no solid ground. Feeney’s linguistic prowess is also on full display. Quick, staccato chapters end in cliffhangers, while the thrum of suspense ratchets until the shocking end. The climax was almost too heavy handed for my taste, but in the end, it followed the dramatic threads that were there from the beginning. With two remarkable thrillers in her repertoire, Alice Feeney has proven she’s an author not to be missed.